CAPE CORAL, Fla. — Larry Gene Houser passed away March 30, 2019, in Cape Coral, Florida at the age of 81. Larry was born in Auburn April 14, 1937. He was a 1955 graduate of Garrett High School. In July of 1955, he enlisted in the United States Army where he served three years as a Welder and auto mechanic. Larry was a Garrett resident until he relocated his family to southwest Florida in 1973, where he spent most of his career working at West Winds Inn on Sanibel Island. He spent most of his career working as a maintenance manager in the hospitality industry and as a cabinet maker. In his spare time, Larry enjoyed woodworking and fishing. Larry is survived by his beloved wife of 60 years Kerin (Feagler) Houser; brother, James “Jim” Houser; five children, Rebekkah “Becky” Houser Hayes, Bryan Houser, Elizabeth “Betsy” Houser, Ben Houser and Dennis “Denny” Houser. Larry had 12 grandchildren, Brooke, Jared, Corey, Shelia, Brock, Brittany, Tiffany, Taya, Taryn, Karensa, Crystal and David; 11 great grandchildren, Logan, Ilea, Bret, Garrett, Liam, Mason, (expectant twins, Ellis and Ezra), Amari, Caden, and Alaina. Larry had 16 nieces and nephews, Steve, Roger, Bruce, Jamie, Danny, Mark, Jed, Joni, Kathy, Marykay, Kim, Kerry, Kami, Kasey, Kristi, and Angie; and a host of aunts, uncles, cousins, great nieces and nephews. 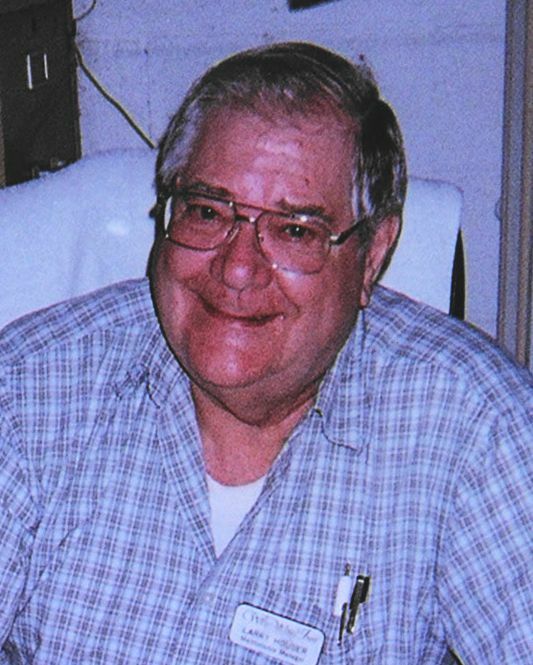 Larry was preceded in death by his father, James A. Houser; mother, Louise (Squire) Houser; son, Bret J. Houser; and grandson, Joseph “Joey” Formosa. Services will be 5 p.m. Saturday, April 13, 2019, at Feller and Clark Funeral Home, 1860 Center St., Auburn. Burial will take place in Cedar Creek Cemetery in rural Garrett. Visitation will be from 5–7 p.m. Friday, April 12, 2019, at the funeral home.